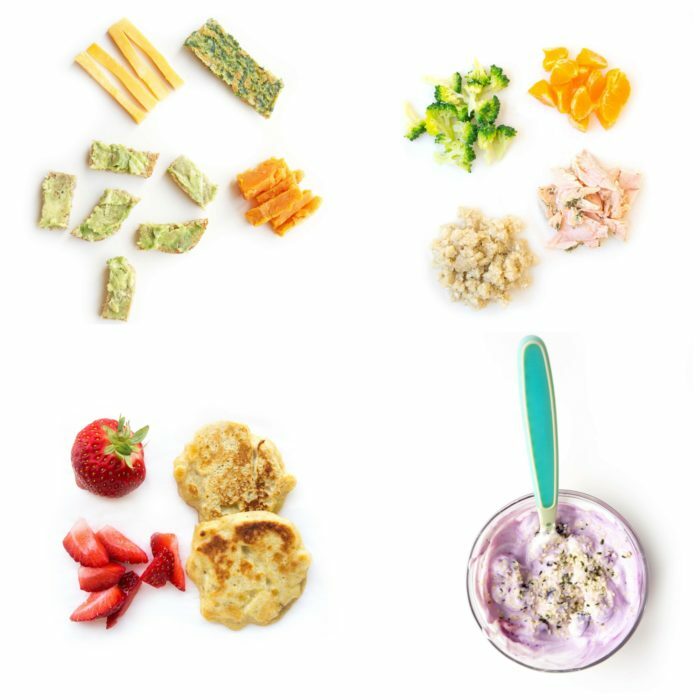 Looking for some easy and healthy meal inspiration for baby-led weaning or finger foods for toddlers? 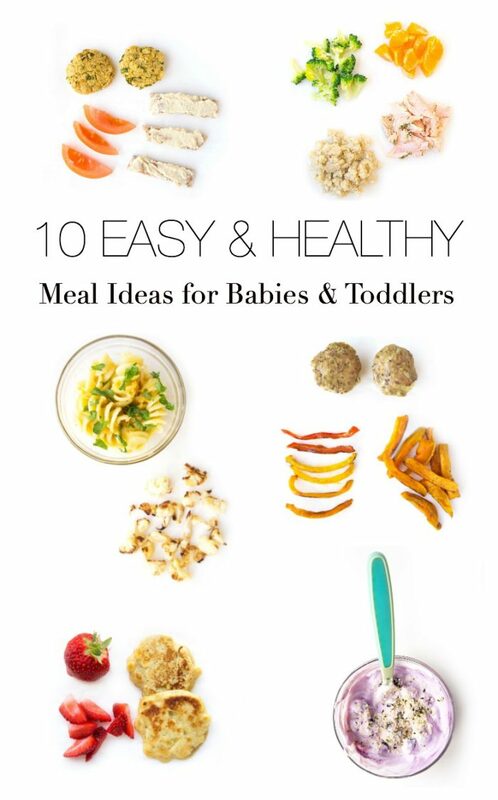 Here are ten balanced meal ideas — all are baby-approved! Over the past few months, our family has been on one BIG food adventure. 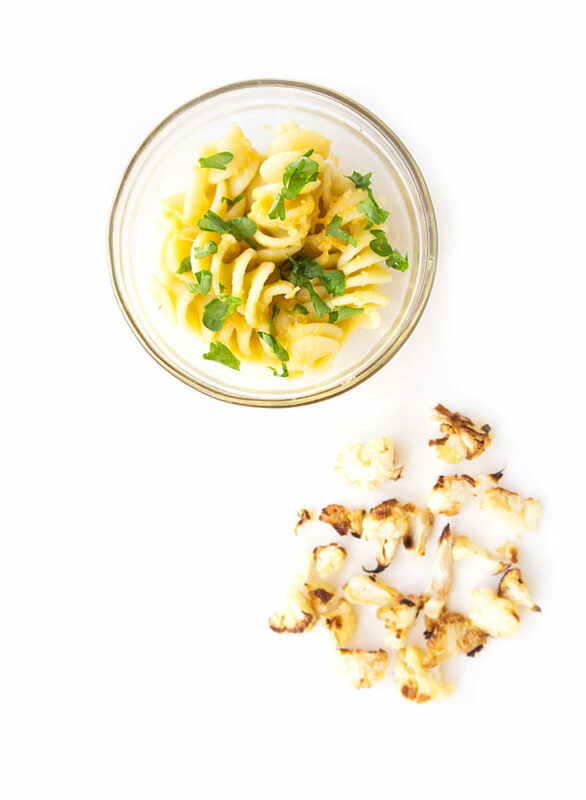 It all started when we began introducing solids to our little guy at the 6-month mark. To be honest, I wasn’t 100% sure what to feed him at first, but I knew that I wanted to give the baby-led weaning method a shot (you can read more about BLW here). Beyond doing some reading and watching some webinars on BLW, I figured I’d simply put my nutrition knowledge into action and hope for the best. Not much can prepare you for that first time you offer your baby solids, not even 5 years of studying nutrition in university. We’ve been fortunate that he’s been a really good eater and up for trying anything since day one. He’s like his mommy and daddy and just really loves food! 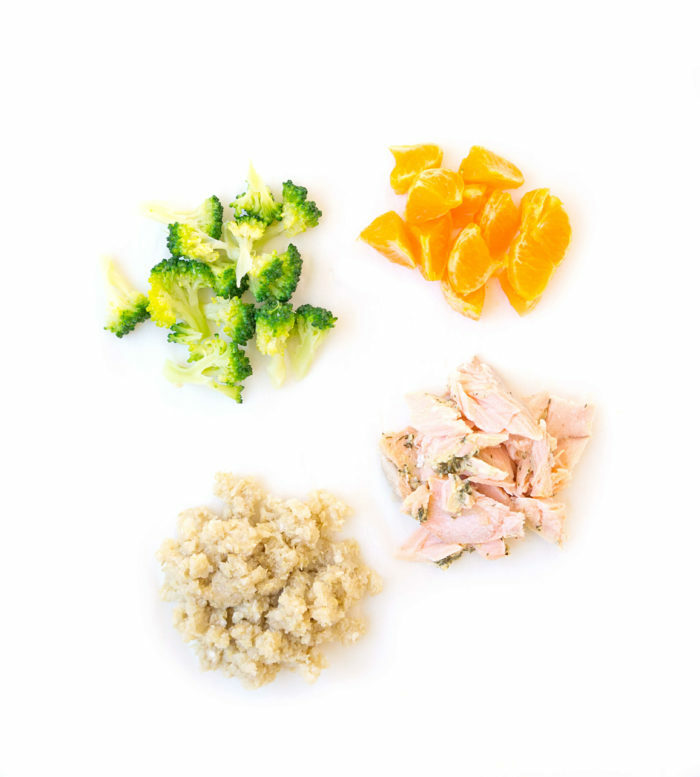 Although we try to feed him what we’re eating on a daily basis (with some adaptions, of course), there have been a few go-to meals that have been on our menu rotation for him because they’re easy, balanced and healthy! You can check out some of those meal ideas and preparation tips below! 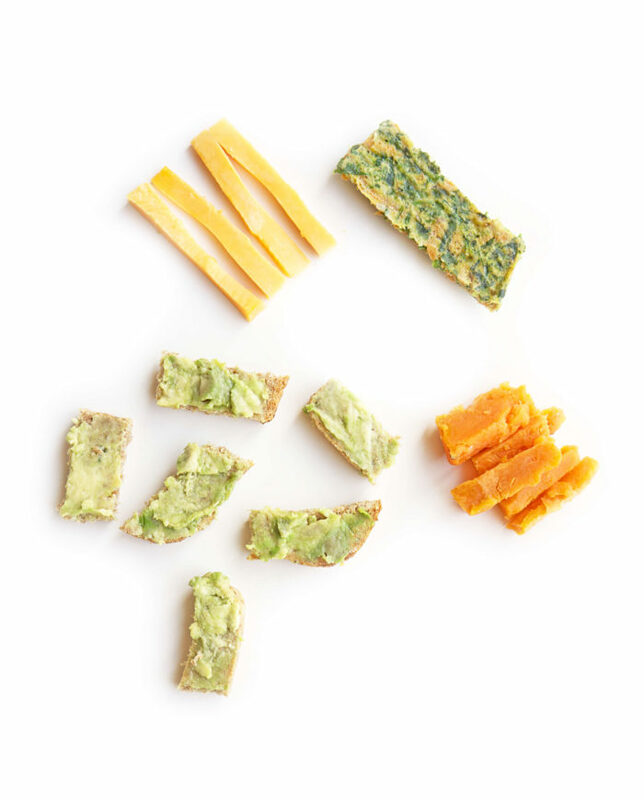 Tips: I like to prepare a batch of the frittata fingers and store them in the freezer. It’s a great way to incorporate harder-to-serve vegetables like spinach and zucchini. Simply thaw the frittata fingers out in the fridge or microwave. They make such an easy meal when you’re in a pinch. Similarly, you can bake a sweet potato or cook it the microwave in advance for a quick and easy vegetable to serve on the side throughout the week. I also like to use Ezekial bread since it’s lower in sodium than most breads, contains higher amounts of fibre and because it’s sprouted, the vitamins and minerals tend to be better absorbed. Tips: I like to serve salmon 2-3 times per week since it’s such a great source of omega-3s, which are necessary for a healthy brain, heart and eyes. Just be sure that you remove any bones before serving to baby. If you don’t have time to cook quinoa on the stove for baby, I like to put 2 tablespoons of quinoa flakes in a bowl with about 3 tablespoons of water and cook it in the microwave for 1-2 minutes. It creates a thicker and mushier quinoa with a similar consistency to oats which is perfect for babies to grasp when feeding themselves. You can also add shredded cheese or finely chopped veggies, such as baby spinach, shredded zucchini, or small pieces of cooked broccoli or cauliflower to the quinoa mix too! Tips: I keep the meatballs simple and mix ground beef with a couple of cloves of minced garlic, a teaspoon of thyme, and an egg, but you could also use a recipe such as this one and just omit the salt in baby’s portion. 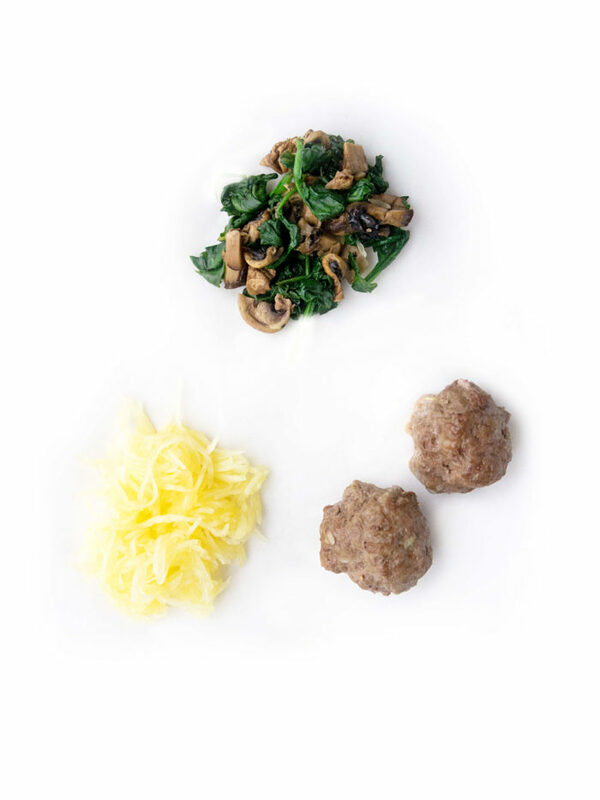 For the spaghetti squash, spinach and mushrooms, chop them finely so that baby can grasp, chew and easily swallow them. Don’t be afraid to add a little bit of olive oil to incorporate some healthy fats — it helps them to better absorb those fat-soluble vitamins! Tips: Soup is one of my favourite things to serve baby since the vegetables, protein and grains become really tender when cooked in broth. I like to cook up a batch of this chicken noodle soup at the beginning of the week for a quick and easy lunch or dinner for the whole family. 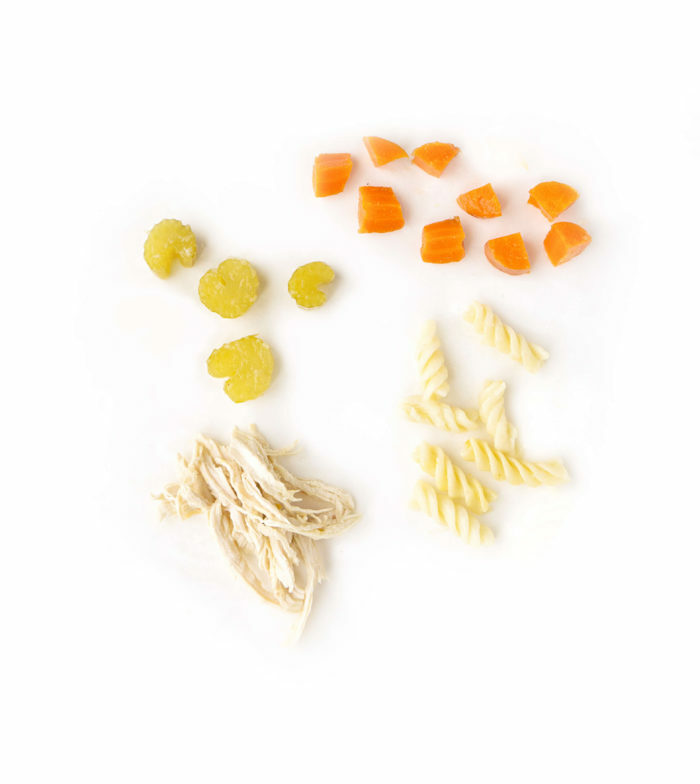 I simply put some small pieces of shredded chicken, cooked carrots, celery and pasta on baby’s tray for him to eat with his hands and let him take sips of broth out of the bowl or cup (that’s his favourite part)! Tips: Omelette strips are my go-to meal when I’m in a rush and don’t have time to make anything elaborate. You can either use a mini 5-inch frying pan, or for a super fast trick, mix the egg with a fork in a microwave egg cooker and pop in the microwave for about one minute. 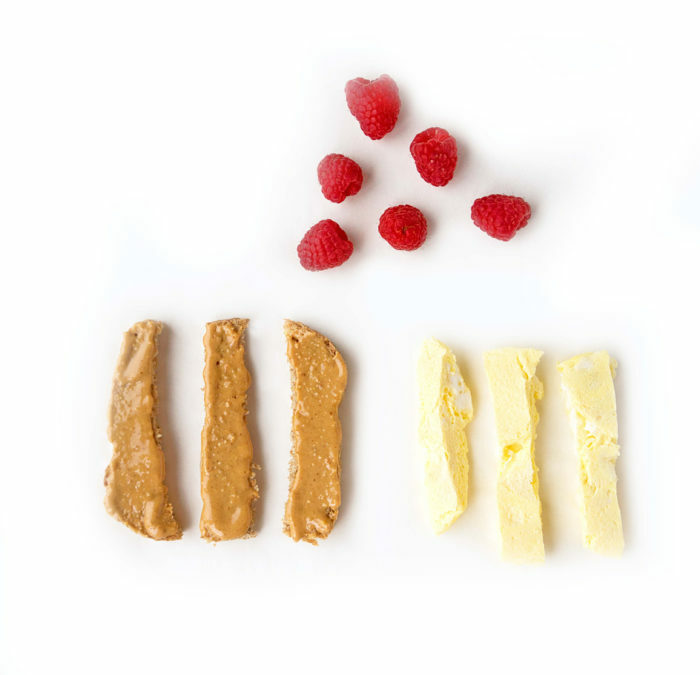 Once cool, simply cut into strips for baby and serve. You could even serve with melted cheese on top for some extra calcium and protein! I like to cut the toast into strips so that it’s easy for baby to grasp with his palm. By toasting and putting almond butter on the strips, I find it makes it easier for him to break down with his mouth, despite not having many teeth. Tips: This yogurt power bowl is our go-to breakfast. When I discovered our baby had a sensitivity to oats, I needed to come up with an alternative breakfast that was quick, easy and healthy. I love using frozen blueberries that are thawed because they tend to be juicier and softer and sweeten up the yogurt naturally. Plus, you can buy a big bag of them and don’t have to worry about fresh ones spoiling in the fridge. 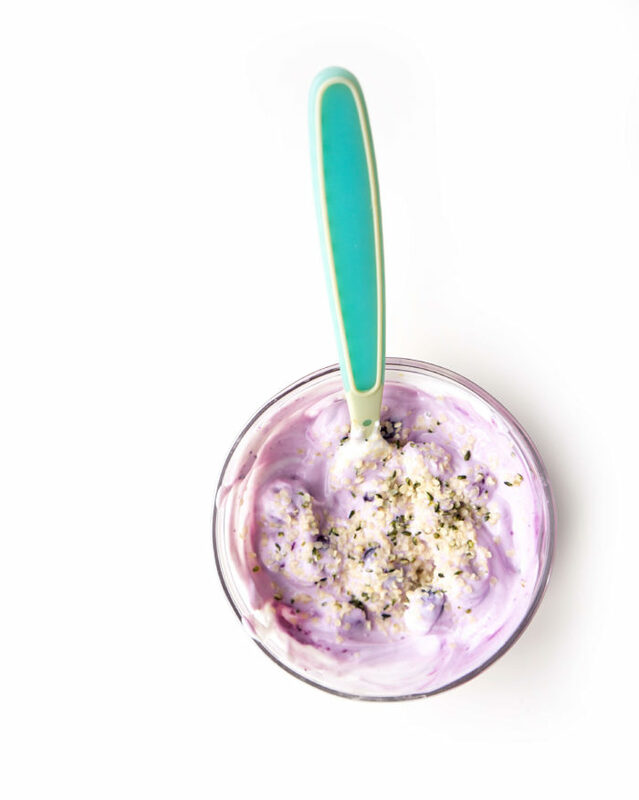 A yogurt bowl is also a great vehicle for serving some healthy fats like hemp hearts and nut butters to incorporate some extra calories. Sometimes, I’ll let baby dig his hand in there and pick out the yogurt-coated blueberries, while other times I’ll preload the spoon and let baby feed himself (which can be quite messy. Be forewarned -that yogurt may end up on the floor…and on the wall). If we’re really in a pinch and want to minimize the mess, I’ll feed it to him (not technically BLW, I know, but sometimes you gotta do what you gotta do). Tips: These pancakes are perfect for little hands and mouths and only require an egg, banana and a bit of coconut flour, which is optional. Make up a batch of these pancakes and store in the fridge or freezer for a really quick meal or snack. 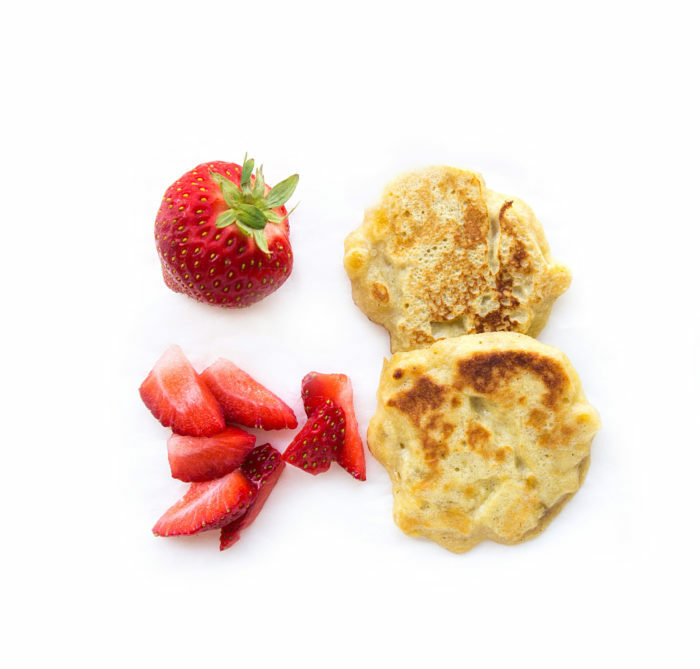 These pancakes also make a great meal to serve on the go that’s relatively mess-free. 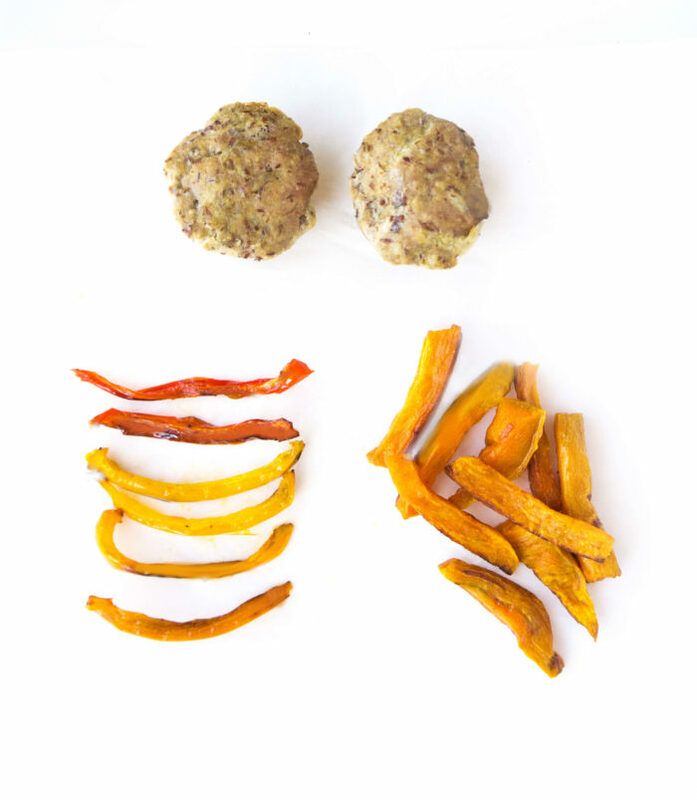 Tips: My husband and I are huge fans of falafels, so I make them on a fairly regular basis. I blend all of the ingredients (minus the salt and baking soda) in the food processor and use the mixture to form a few smaller patties for baby. I’ll then add the salt and baking soda to the remaining mixture for my husband and I for some extra flavour. 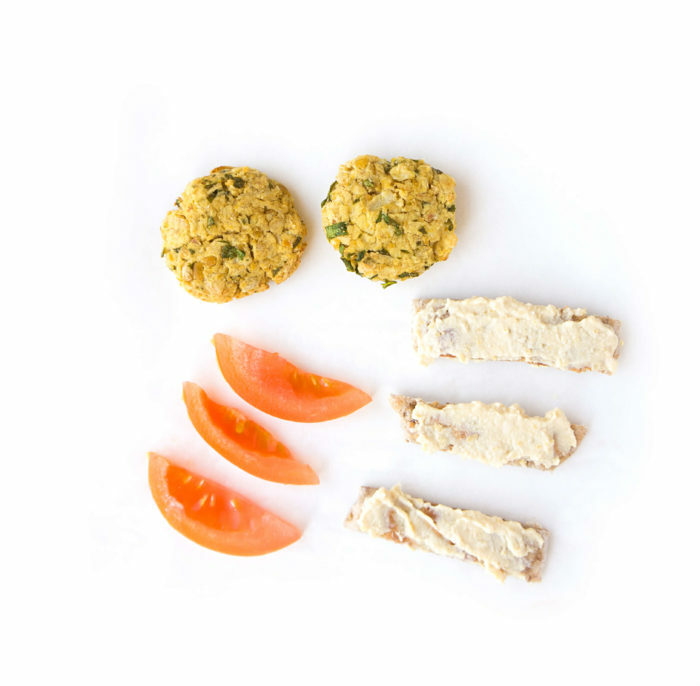 Serve to baby along with some thin strips of whole-wheat pita (I like to use the mini ones) with a thin layer of hummus and tomato slices or quartered cherry tomatoes. Tips: I ALWAYS have a batch of these turkey apple meatloaf muffins on hand. These things are a LIFE SAVER. I like to make up a batch once every couple of months and store in a ziplock bag in the freezer. Simply thaw a couple of them out (depending on how many your baby will eat) and serve along with some baked sweet potato fries and roasted peppers. As an added bonus, you can cook them all in the oven at the same time and serve throughout the week for an easy meal. Tip: I like to make the sauce for the butternut squash mac & cheese and freeze the sauce in individual compartments in an ice cube tray. For a super quick and balanced meal, I cook up some noodles, pop out one of the sauce cubes, thaw it out and mix it in with the noodles. As a bonus, you can also mix the sauce with vegetables or meat to add some extra flavour and moisture. What are some of your favourite meals for baby? Love these ideas? Pin for later! Thanks so much Hazel! I’m so glad that you found the meal ideas to be helpful! These are all meals that I’ve given to my baby and he downs them like a champ, so I thought it might be nice to share for other new moms out there :) Hope your baby enjoys them too! Thanks for subscribing! I’m curious why you would leave out baking soda. Is it bad for a baby? My daughter is 11 months and we have been doing a mix of BLW and purees. I just made some baby pancakes last weekend that had a bit of baking soda and baking powder. Also, wanted to add that I love these ideas! Sometimes the ingredients are difficult to find, as I am living in South Korea, but most are easy to find. Thank you for the post! Hi Mary! It’s not necessarily that baking soda is bad for a baby per say, but it’s made up of sodium bicarbonate which is really high in sodium. For babies under a year, the recommended sodium intake is less than 400mg, which is quite low, since it can be hard for their kidneys to process. It certainly is a personal preference whether or not you choose to use baking soda or other higher sodium ingredients in your cooking. At the end of the day, if you’re adding a little bit of baking soda to pancakes, it’s probably not going to amount to much if the baby is only having a pancake or two, it’s just something to be mindful of when preparing foods for baby. Hope that makes sense!